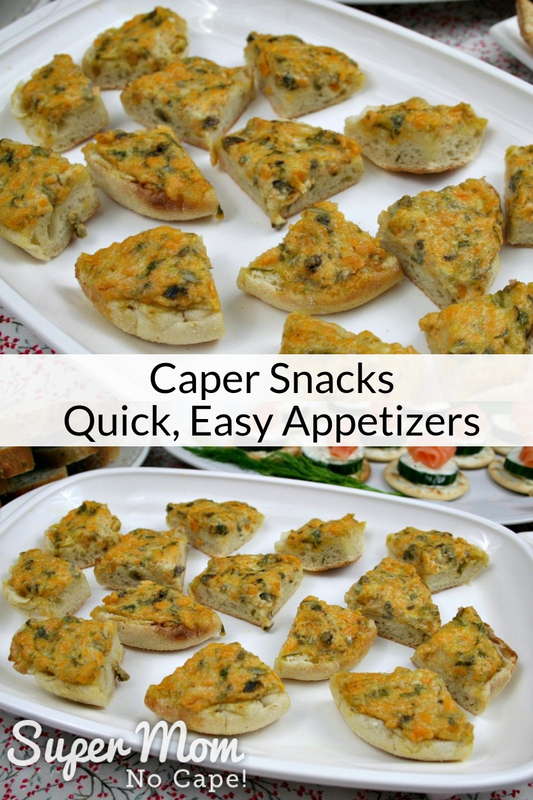 If you’re looking for a quick, easy appetizer to make for your next party or games night, then you can’t go wrong making a batch of Caper Snacks. Way back when my husband Dave and I were posted to CFB Borden, we had a regular games night with another couple every few weeks. At the time, our children were too young to be left without a babysitter. Their children were older so they came to our house to play cards and/or board games. Each couple took turns providing the snacks for the evening. 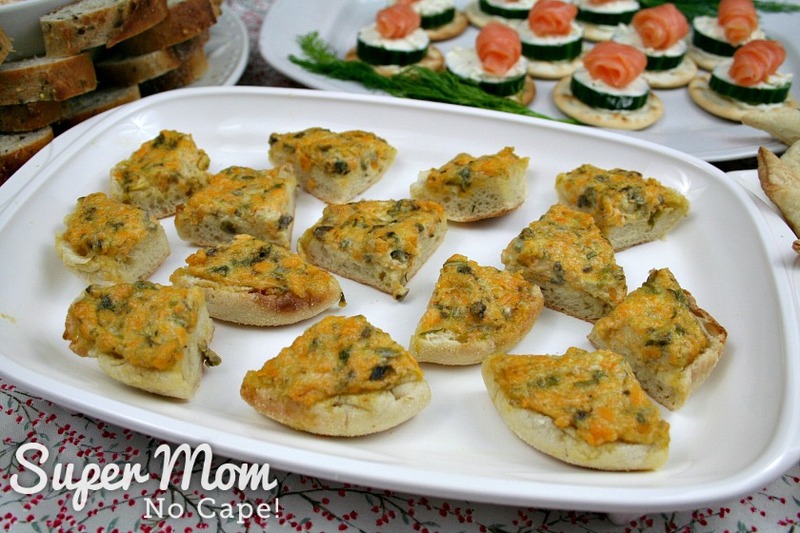 On one of the nights that was the other couple’s turn, they arrived with Caper Snacks in addition to the regular chips, dip and cut up veggies. These delicious little bites became an instant family favorite and make an appearance at least once during each of our holiday celebrations. 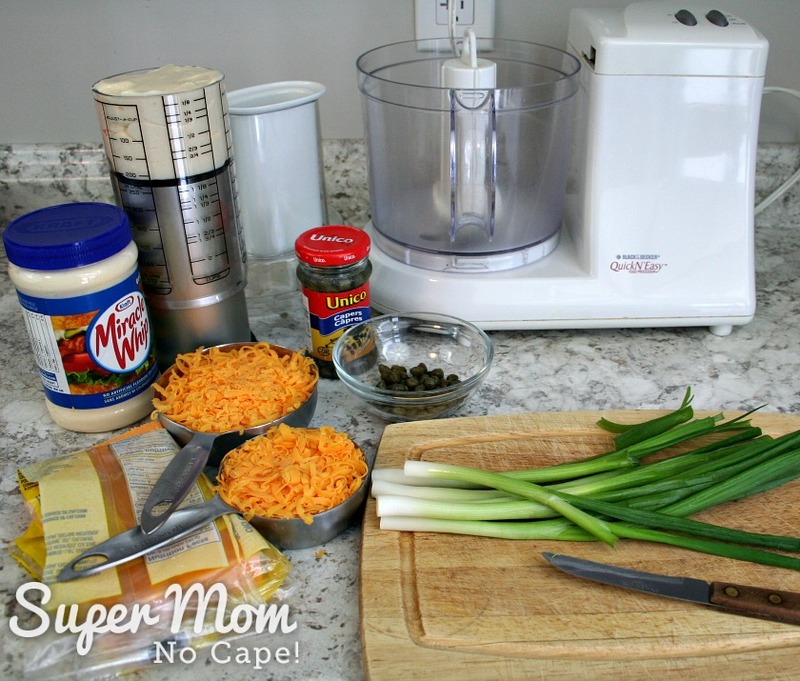 Add green onions and capers to the bowl of your food processor and chop. 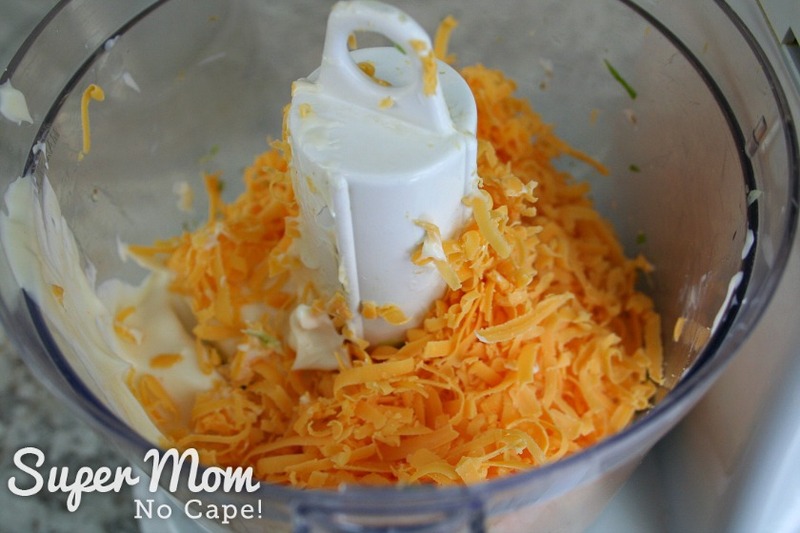 Next add the mayo and grated cheddar cheese. Mix until everything is thoroughly combined. The onions and capers should be finely chopped by that point. 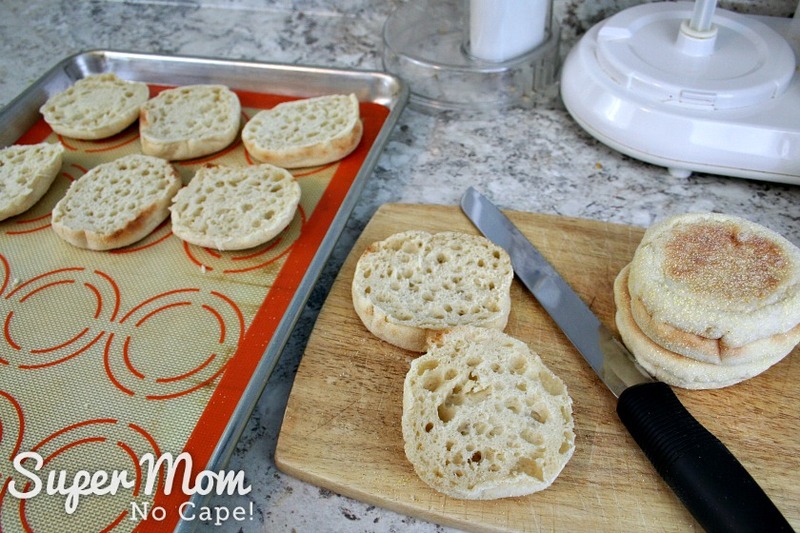 Slice the English muffins in half and place on a baking sheet with the cut side facing up. 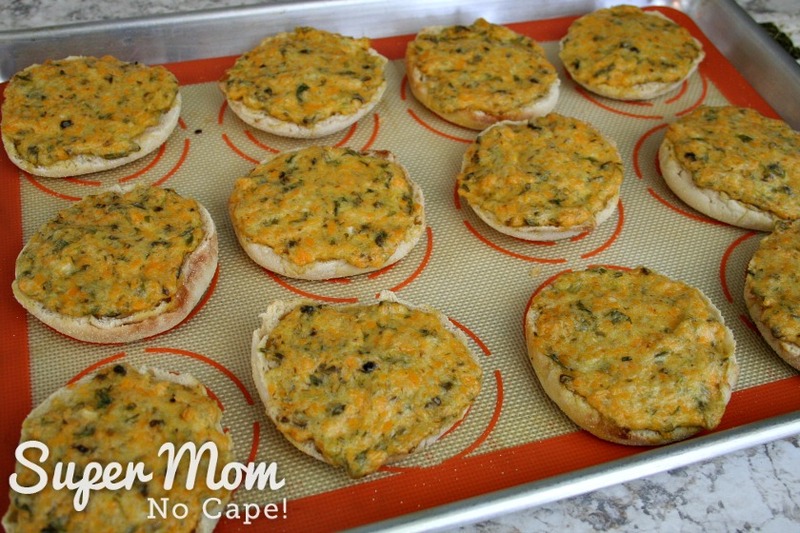 Add a generous spoonful of the caper snack mixture to each English muffin half. Spread the mixture evenly on the English muffins. Bake at 350ºF for 20 to 25 minutes. If necessary, cover with foil for the last 10 minutes to prevent the tops from browning too much. 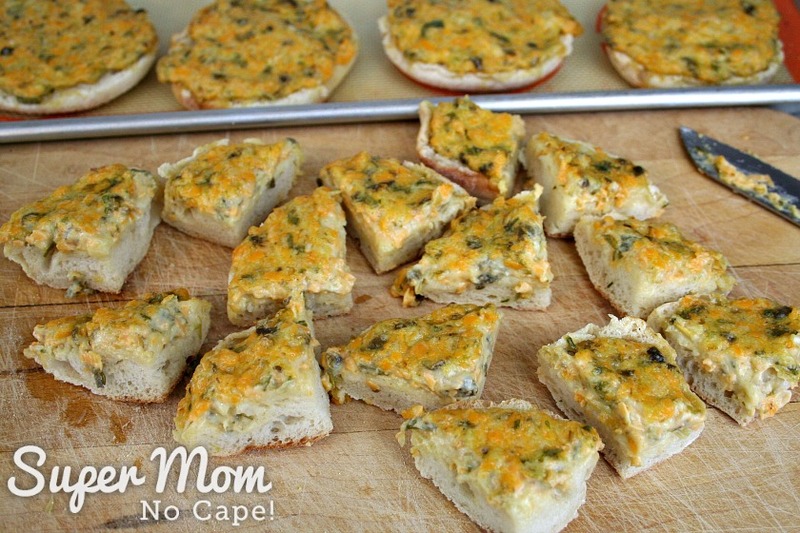 To serve, cut each Caper Snack into quarters. Serve and enjoy while still hot. They are equally delicious when served cold. These have become such a family favorite that I now make them for breakfast every Christmas and Easter morning. We don’t even bother cutting them in quarters. They are barely out of the oven before Dave and the kids are swooping in to take them right off the baking tray to have with their tea or coffee. 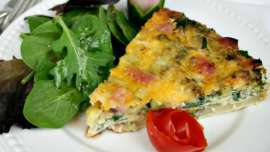 When serving them for a holiday breakfast or brunch, you may like to serve them whole or cut in half. 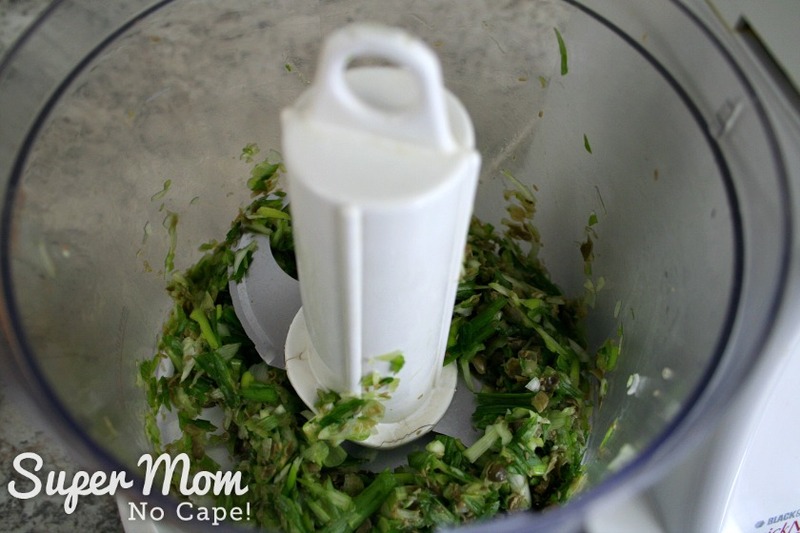 The caper mixture can be prepared the night before and kept in a covered bowl in the fridge until you’re ready to make the Caper Snacks. 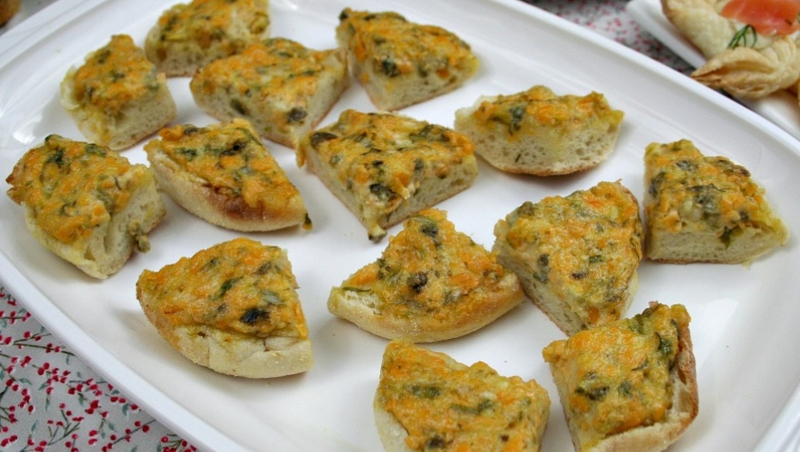 It makes them even quicker to make the day of your party or brunch. 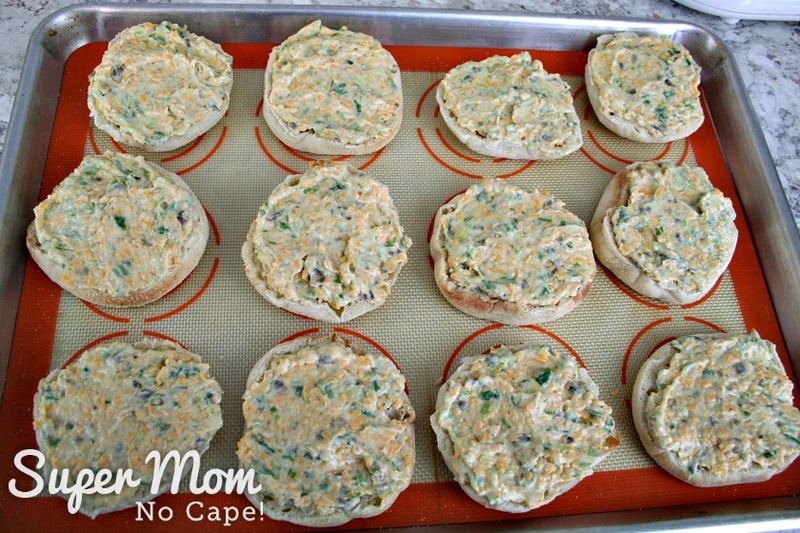 A small tip… when making these for a party, I use the recipe as described but when making them for our lot for holiday breakfasts, I spread the mixture over 24 English muffin halves to give us enough so that everyone has their fill without me having to double the caper mixture. 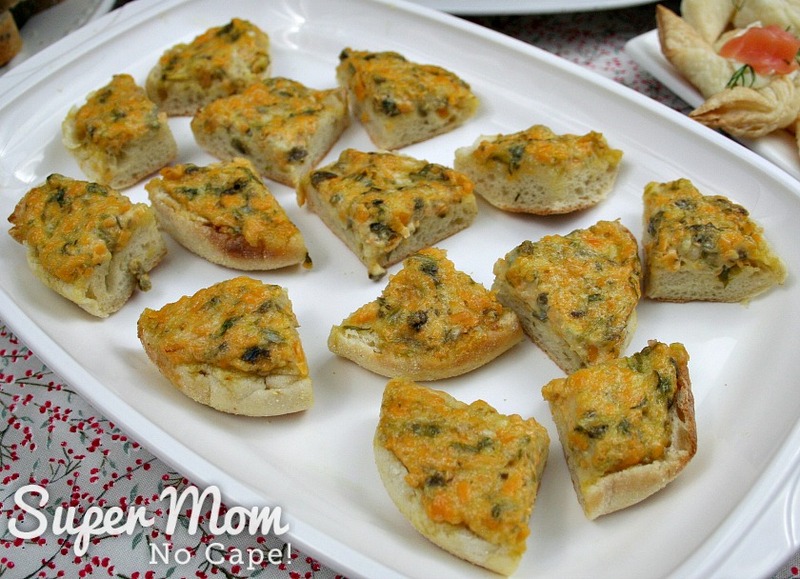 I hope you’ll give this recipe for Caper Snacks a try. They really are sooo good! If you do make them, please do post about it somewhere online and tag me so I can come see. I’m @supermomnocape on Instragram, @1SuperMomNoCape on Twitter and @1SuperMomNoCape on Facebook. Please feel free to follow me on any or all of the above social media. The cones can be filled with the spread of your choice. 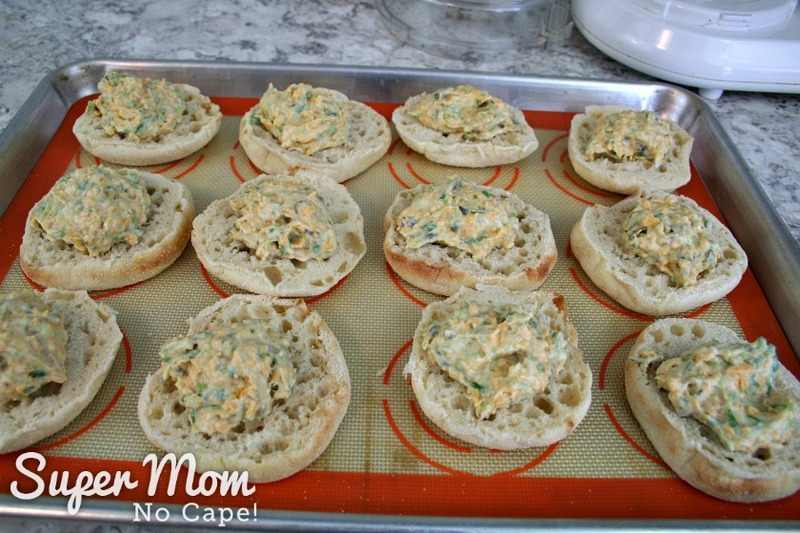 We like them filled with my Sweet Chili Shrimp Dip. You may already have the ingredients for this Easiest (and Tastiest) Dip Ever in your fridge. 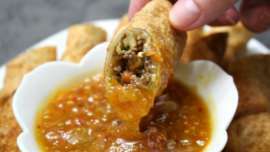 It’s great served with veggies or chips of your choice. And be sure to save the recipe by clicking on the Pinterest button underneath this post. 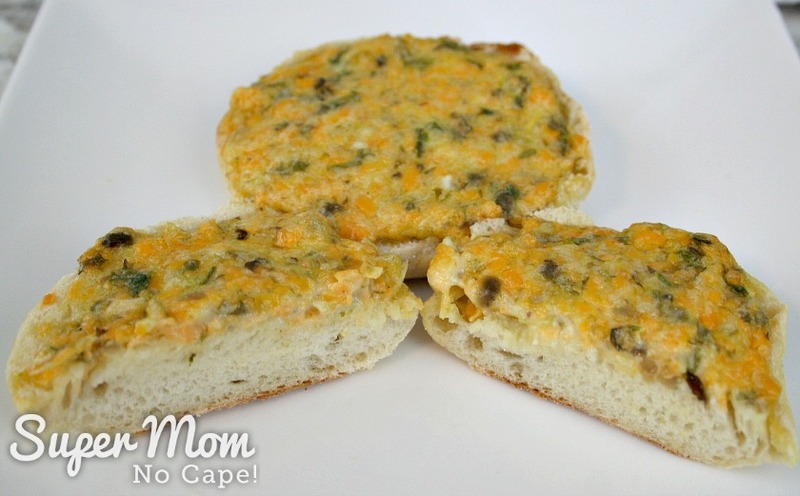 Please note: This recipe for Caper Snacks originally appeared on Super Mom – No Cape in April 2013. 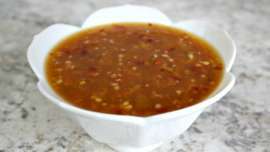 The recipe itself is the same but the post has been completely updated with new photos and more detailed instructions. Looks like a delicious breakfast or snack food. Yum. These look yummy! I just used capers for a chicken dish a few days ago, so now I have another use for them. Thanks for sharing these!